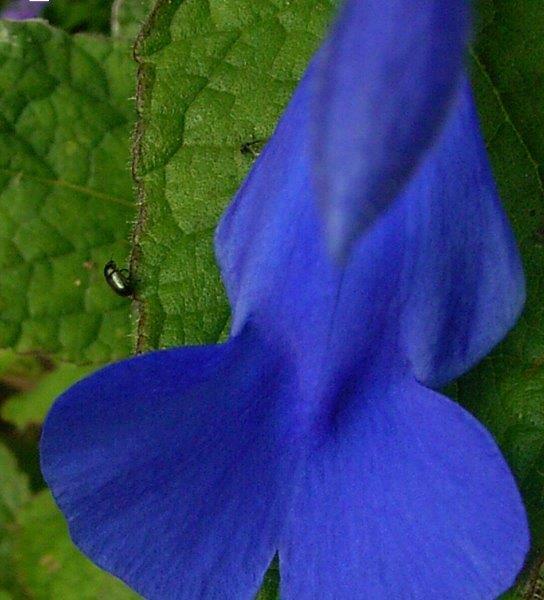 Patens is one of the earlier salvia introductions to Australia, probably because of its glorious deep blue flowers. At that time in horticulture in Australia they used to say there are hardly any flowers with good blue flowers! A nursery in Victoria used to dig up plants and give them to customers unlabelled, which is how a rather widespread mix up of the name with S. guaranitica happened. (This is my theory!) Around 1990 these two salvias were still being mixed up but may not be these days. Patens colours and similar species keep on coming in recent years. The original patens roughly has pink, Cambridge Blue, mauve, white and royal blue varieties. They come in a variety of names, Pink Ice, etc but you are probably lucky enough to get hold of any of them and should not quibble about the exact name. People keep whacking new variety names on them which confuses the public. Then came a variation with mottled foliage, I think this one came through just as ‘Guanajuato’ no doubt reflecting where it was found in Mexico. Then we got large forms of patens. In warm climates patens may go over a metre. Patens is generally labelled frost tolerant as it dies down to tubers in winter. When shoots have finished flowering it is good to cut them back to base to hurry up new growth and more flowers. In some climates it has a short life of 2-3 years, especially if snails keep eating the new shoots, but probably in its ideal climate it lives a number of years. Patens sets 4 very big seed in every calyx which grow readily or young growth can be grown as cuttings. 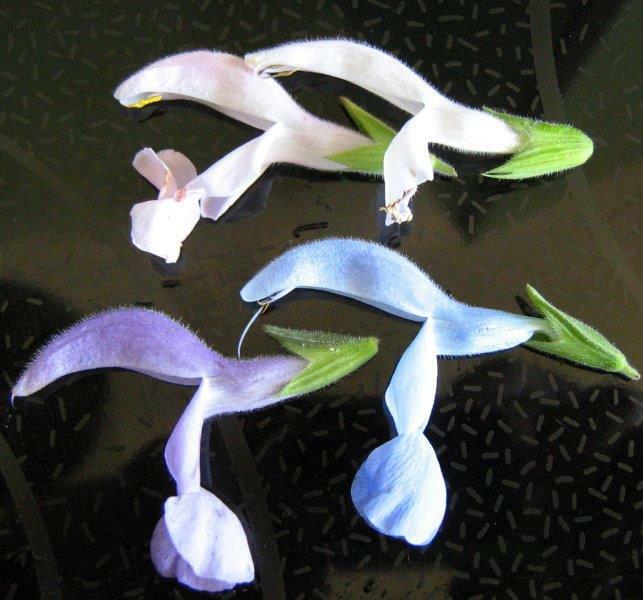 If you are looking for the royal blue patens please read my page True Blue salvia under Important Information.